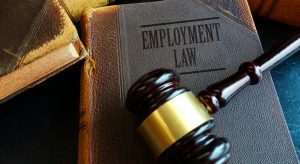 Earlier this year, the California Supreme Court issued a unanimous ruling regarding the test to be used in determining whether a worker is an “employee” or an “independent contractor” in the context of the California Wage Orders. The Court in Dynamex Operations West, Inc. v. Superior Court established a test which heavily favors workers being classified as employees. Dynamex, a nationwide courier and delivery service, previously classified its California drivers as employees and then later, in an effort to cut its costs, converted those same drivers to independent contractors. One of those converted drivers filed a class action alleging several wage and hour claims, based on the misclassification of its workers, under the California’s Wage Orders. The California Supreme Court granted review to review and determine the appropriate test for determining the classification of workers in California for the Wage Orders. 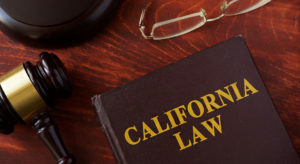 The Court’s decision in Dynamex and the stringent requirements that must now be satisfied to classify a worker as an independent contractor (known as the ABC Test), greatly changed the landscape in worker classification in California under the Wage Orders. Prong B of the ABC Test, that a worker performs work that is outside the usual course of the hiring entity’s business, will be perhaps the most difficult prong for employers to satisfy. The Court provided several examples of the application of this prong. First, the Court stated that when a retail store hires a plumber to perform repairs in the bathroom on its premises, the services of that plumber are not part of the retail store’s usual course of business and the store would not reasonably be seen as having permitted that plumber to provide services to it as an employee. As another example, the Court discussed a seamstress hired by a clothing company to make dresses from the cloth and patterns provided by the hiring company, which would then be sold by the hiring company. Unlike the plumber example, the seamstress duties do not satisfy prong B of the ABC Test because the seamstress is performing work that is part of the hiring company’s usual business operation. Prong C requires that the hiring company demonstrate that the worker is customarily engaged in an independently established trade, occupation, or business of the same nature as the work performed. The Court held that the term “independent contractor” refers to individuals who make the decision to go into business for him or herself, and take steps to advertise and promote the independent business. Evidence in support of this prong may include the worker’s own business licenses, business incorporation, advertisements, and offerings to provide those services to the public at large or to other companies. The hiring company bears the burden to prove that a worker is an independent contractor for the purpose of the Wage Orders, and the hiring company’s failure to prove any one of the three prongs of the ABC Test will lead to the classification of the worker as an employee. While the ABC Test arguably provides clearer guidelines for the classification of workers pursuant to the Wage Orders, companies may find that the workers they currently classify as independent contractors cannot satisfy each prong of the ABC Test. Dynamex has the potential to effect any company that relies on independent contractors, and businesses that do utilize independent contractors should immediately reassess those classifications to make sure they are in line with each of the three prongs as to workers who are non-exempt employees. Misclassification of workers may lead to penalties, including payment of back payroll taxes, subject to interest and a penalty on unpaid taxes, criminal penalties for failure to withhold and pay payroll taxes, Labor Code section 226.8 penalties for willful misclassification (between $5,000 to $25,000 for each violation), as well as penalties by the IRS.